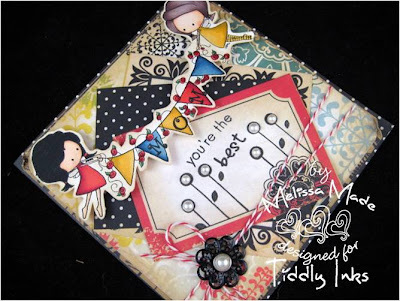 It's Tuesday and that means a brand new Tiddly challenge at the Tiddly Inks Challenge Blog! 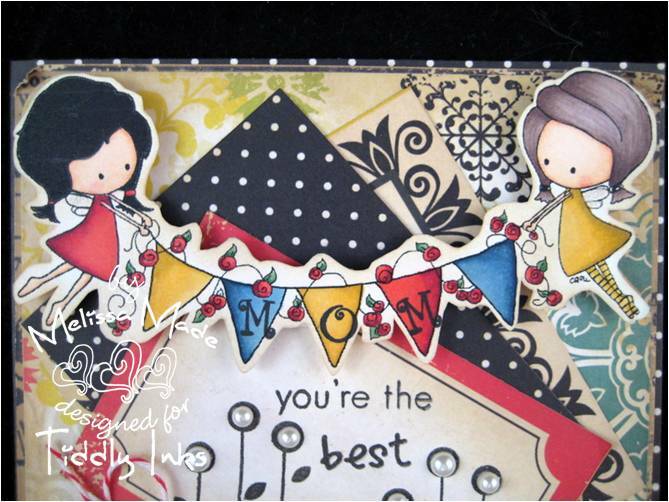 This week we would love to see you create a VINTAGE Mother's Day card. How fun? I hope I pulled it off! I used these adorable pixie image that Christy created called Party Time. I colored them in Copics and fussy cut them. I also inked the edges with Old Paper ink from Tim Holtz. I grabbed the adorable paper from Echo Park called For The Record and layered a number of elements that come in the stack. I also added some twine and a large pearl medallion from my stash. On the Echo Park paper I used a stamp of flowers and sentiment. The mom on the banner is from a little alphabet set I got a few years ago. I inked each piece of paper in the Old Paper ink. I LOVE how this card turned out and I hope my mom likes it! I also hope I pulled off the Vintage look! 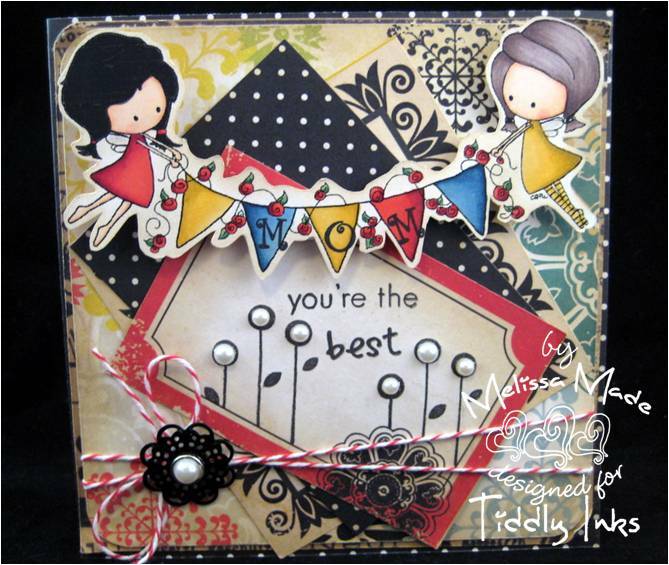 Join us for the new challenge at the Tiddly Inks challenge blog. Also, you have to use a Tiddly image to play - all images can be found right HERE in the shop!!! Oh, what a great card. Love all the details and colors you used! This is BEAUTIFUL Melissa!!! Just stunning!!! Amazing mix of papers and embellishments!! This is such a great card. I love the Pixie's and all the detailing with the DP set. The mom banner turned out great and the pearl elements are the perfect touch. Lovely vintage. This is so adorable!!! I LOVE the colors!!! This is so gorgeous! I love all the detail you've added, like the pearls, twine, metal embellishment. lovely card!!! love just everything about it. Such a great design, as always!!! I have to get some of that baker's twine! I love that stuff!! !